SportX provides hydration and essential electrolytes to keep the muscles going. It’s recommended during sustained training, especially on a hot day to avoid the risk for dehydration. Easy to use: dissolve 1 sachet in 1 litre (1,76 pints) of fresh water. Give Sport X sports drink to rehydrate your dog during and after hard work or exercise. Can also be used before exercise. 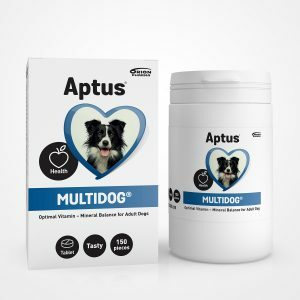 The product is easy-to-use: dissolve one Aptus SportX sachet in one liter (1,76 pints) of fresh water, and let your dog drink. Use the ready mixed drink within 24 hours. One sachet is mixed with one litre of water or it can be mixed with food. Keep the solution readily available and let your dog drink according to his need. The solution looks like plain water and has no pronounced flavour. 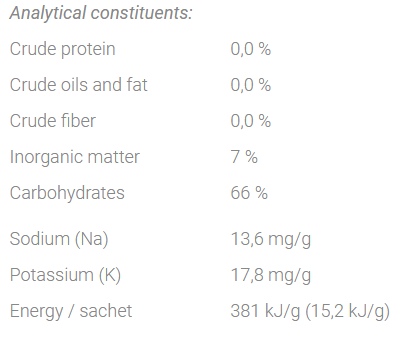 A ready-mixed solution should be consumed within 24 h.
Dextrose (60,4%), maltodextrin (3,8%), potassium chloride (3,4%), sodium chloride (3,4%). 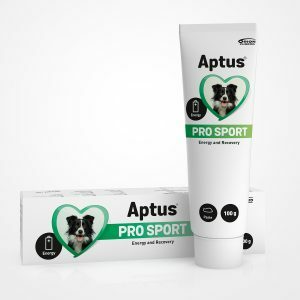 Aptus SportX sports drink is developed especially for dogs. 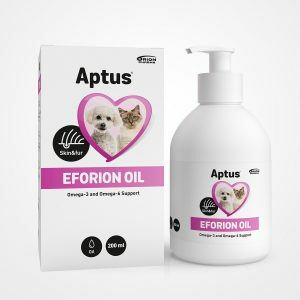 It’s recommended for sporting and working dogs, as well as all active dogs to assist in maintaining fluid balance and rehydration both during and after exercise. The ready-mixed SportX solution looks like water and has a neutral taste. SportX can also be given before exercise, especially on a hot day, or extremely hard work / intense training. 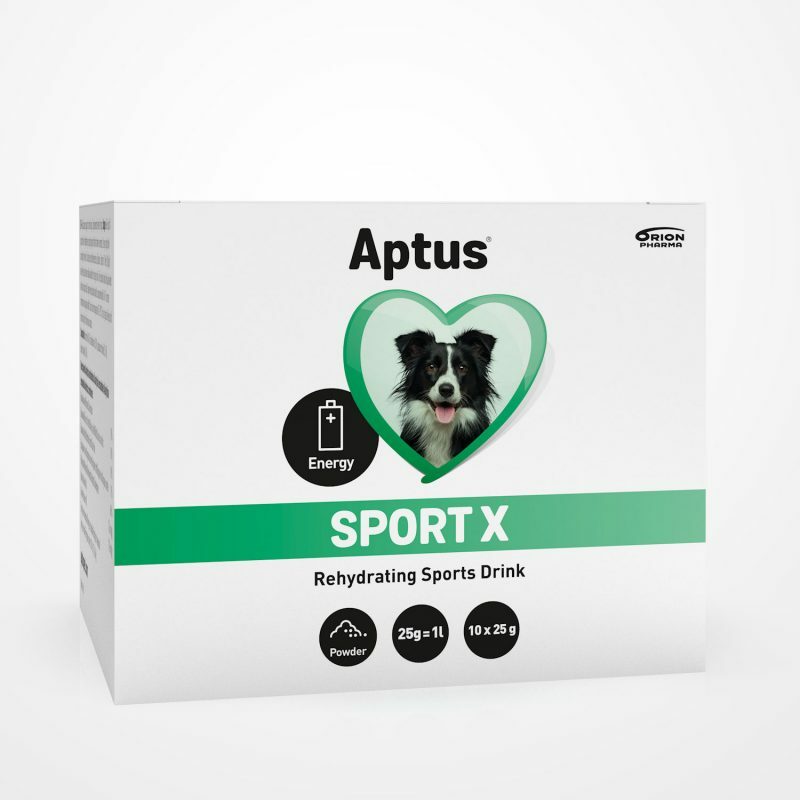 SportX sports drink protects your dog from dehydration and provides all the necessary electrolytes for maintaining the proper fluid balance.